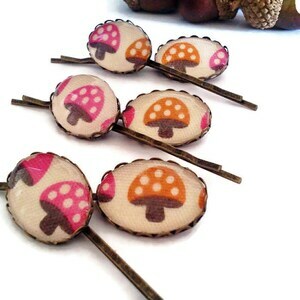 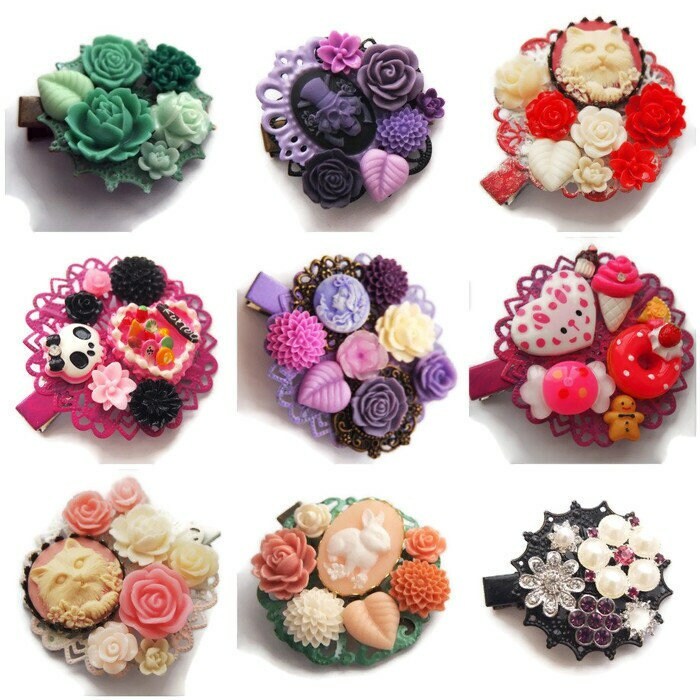 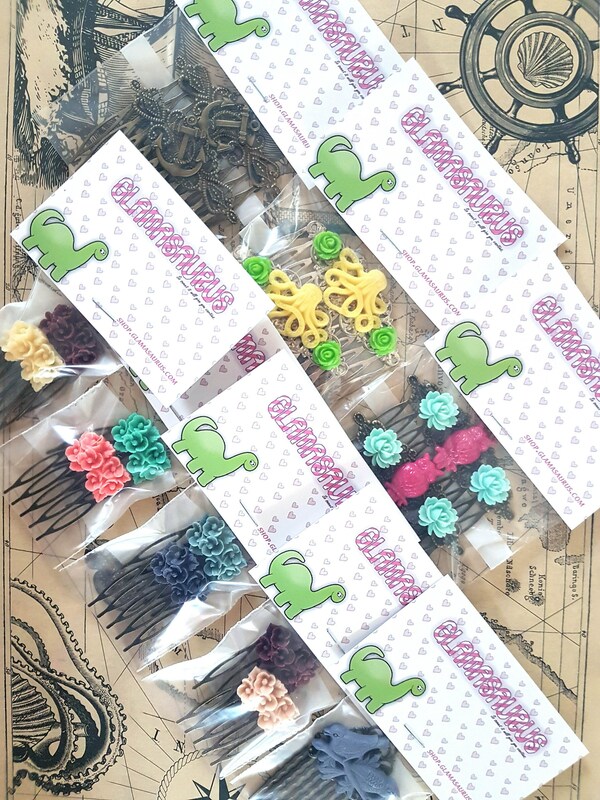 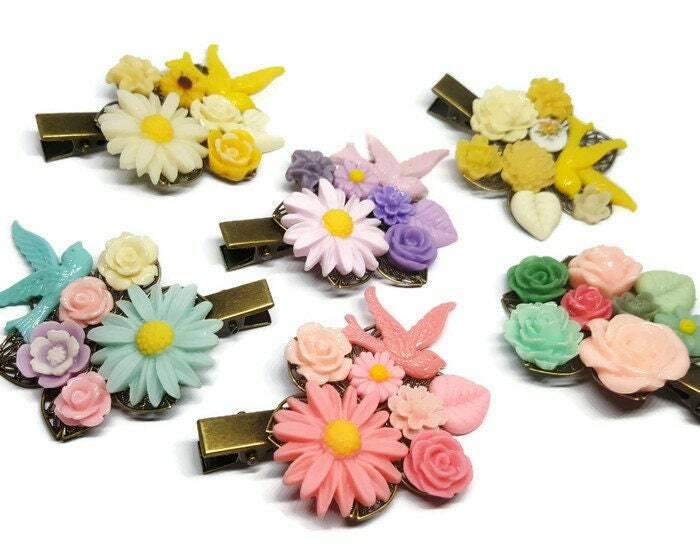 Aren't this clips so pretty? 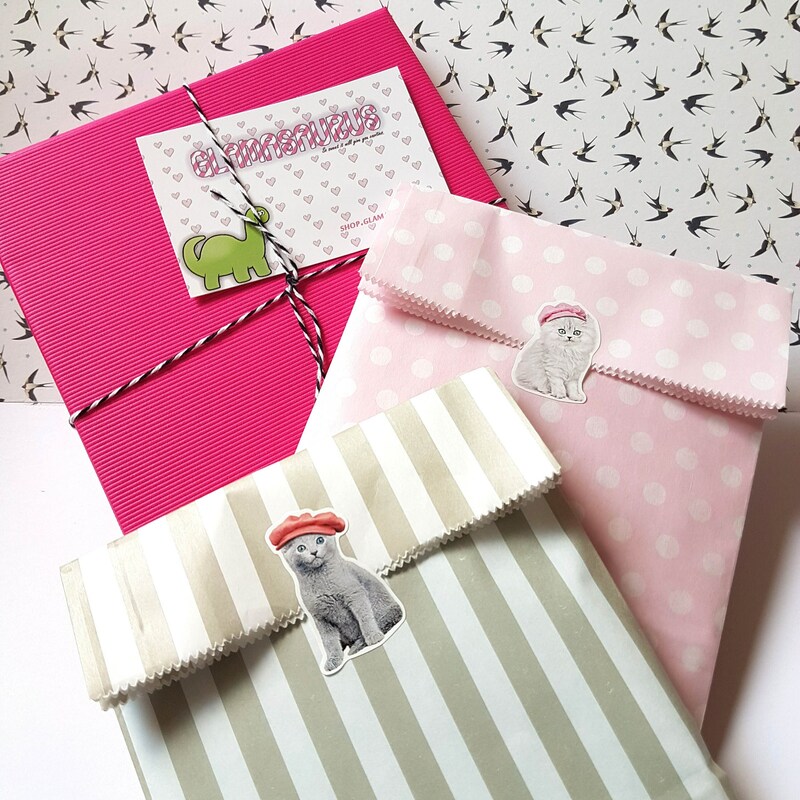 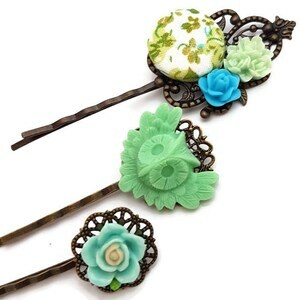 They would make a great addition to your summer wardrobe for any occasion. 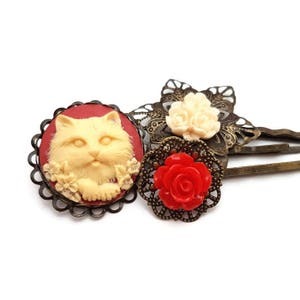 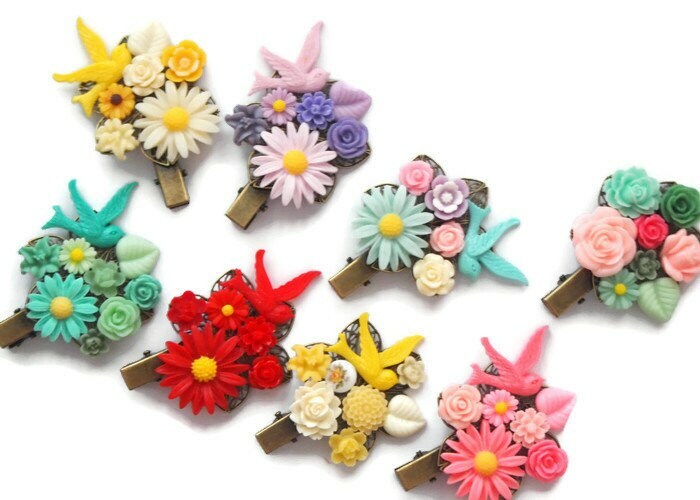 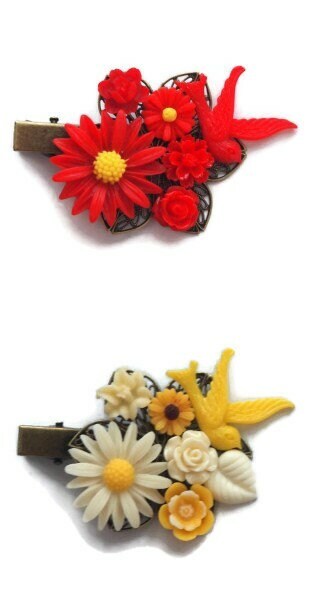 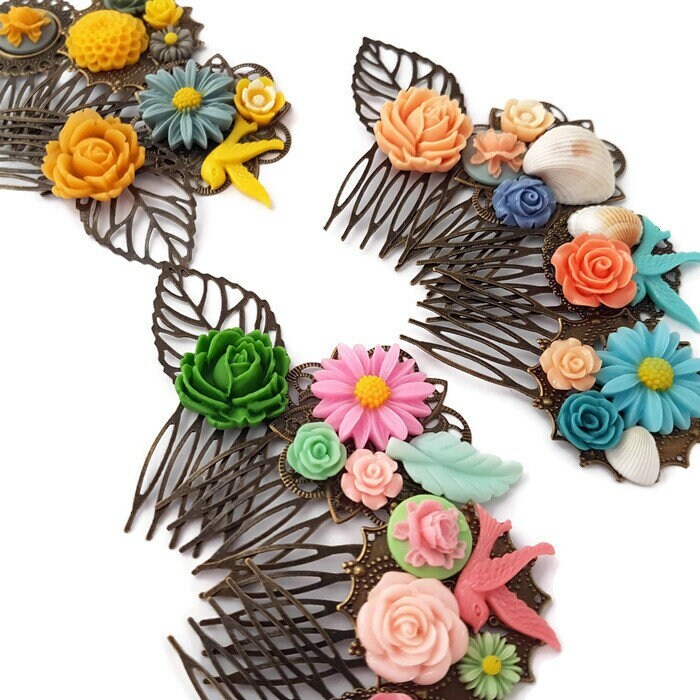 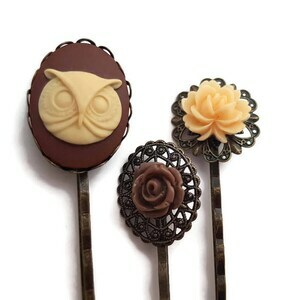 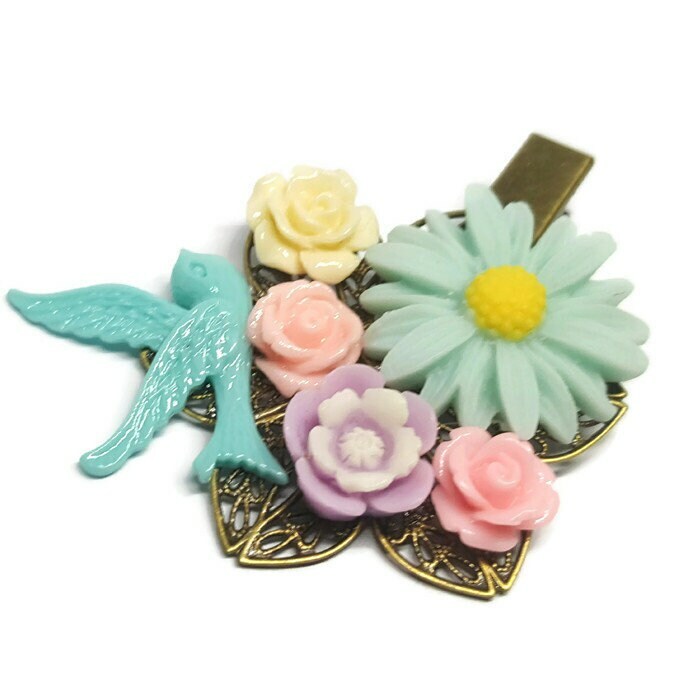 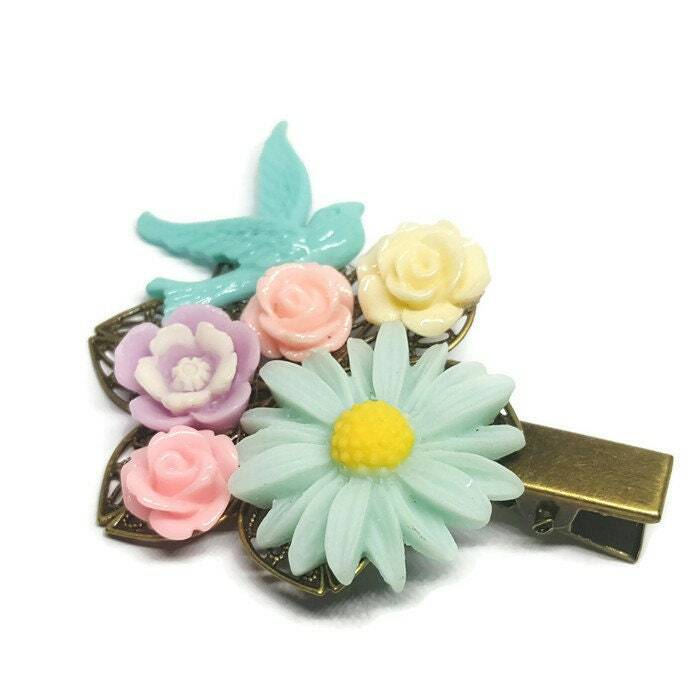 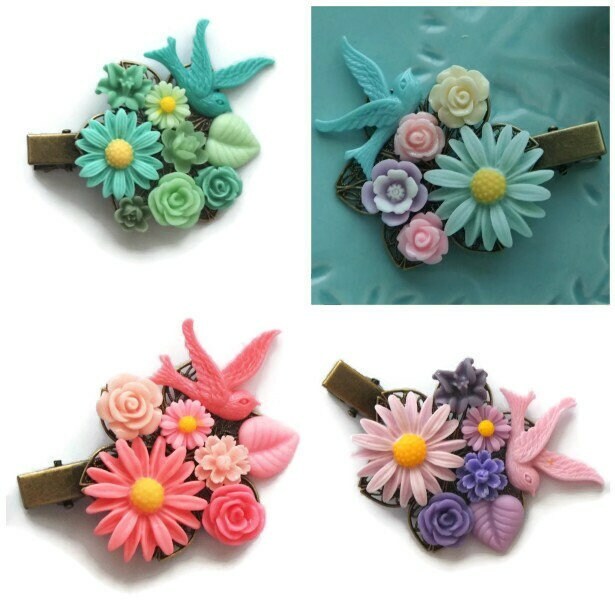 They feature a large daisy and bird surrounded by assorted flowers on a bronze alligator clip.